After breakfast, walked around town, went to post office, and took some pictures. Came back to hotel room and rested until dinner. Seems like Mom was a little worn out from the ordeals of the previous day. Pictures from this day of her trip don't survive, so I am guessing these are three things she might have seen in San Sebastián (Donostia in the Basque language), as they were within walking distance of her hotel. 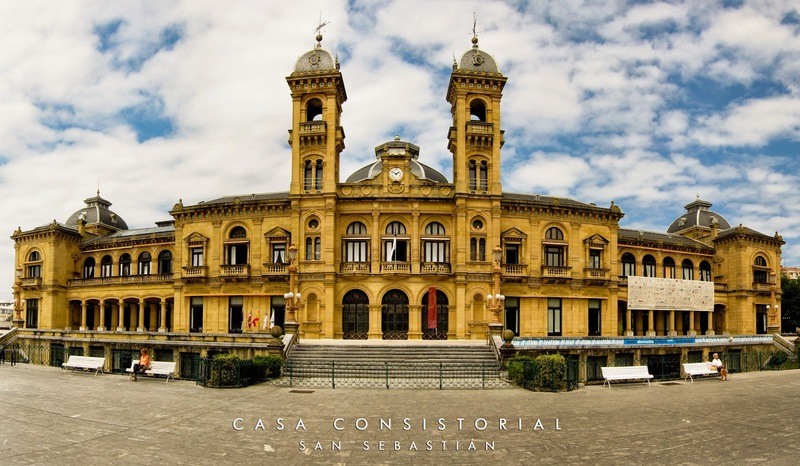 The Casa Consistorial, also called the Ayunamiento, pictured above, is the city hall for San Sebastián. 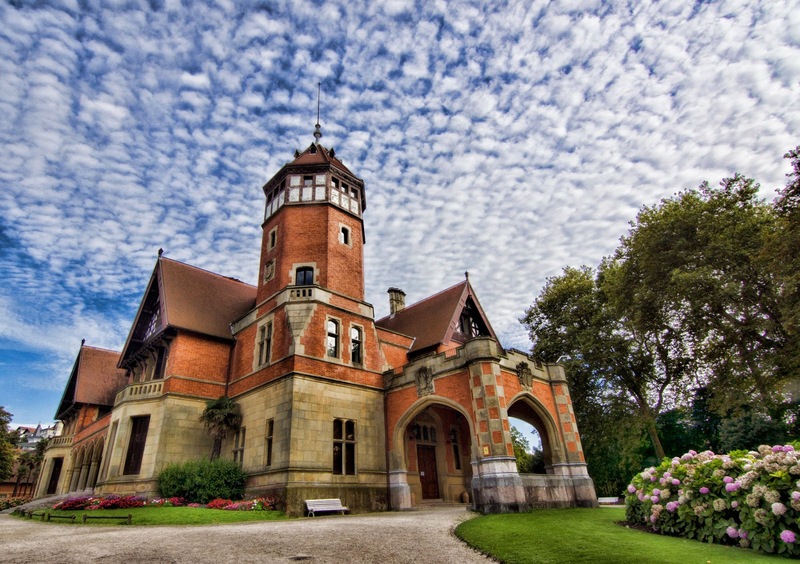 Built in 1887 and surrounded by gardens, it was formerly a casino, and became the town hall in 1945. 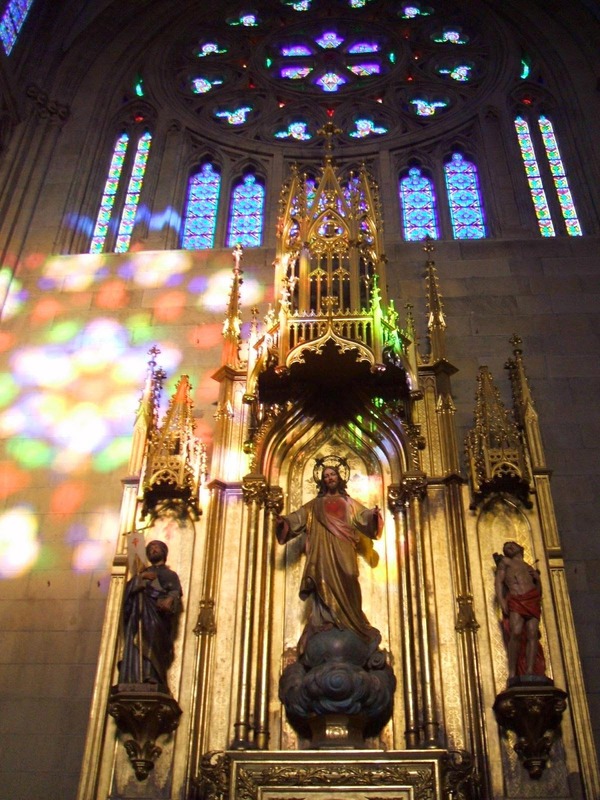 At left is a photo of a part of the stunning interior and stained glass of San Sebastián's Catedral del Buen Pastor (Cathedral of the Good Shepherd), which took nine years to build, from 1888 to 1897. Below is a photo of the Palacio Miramar, the former summer residence of the Spanish monarchy. Also surrounded by gardens, it was begun in 1888 and finished in 1892. This is the 62nd in a series of posts transcribing entries in my mother's 1953 Europe Trip journal.